Ray Hadley works tirelessly to bring his listeners an informative and entertaining Morning Show from Monday to Friday. He has rated number one in Sydney since 2004, and is now heard every weekday morning on 4BC in Brisbane and dozens of network stations right across Australia. On Saturdays, during the NRL season, his Continuous Call Team remains unbeaten since 1992, and has continued to dominate the ratings since joining 2GB in 2002. Ray has won 31 Australian Commercial Radio Awards (ACRAs), recognising everything from his sports presenting skills – including NRL Grand Finals and the Olympics to his ongoing success commenting on news and current affairs to a national audience. In 2017 he was inducted to the ACRA Hall of Fame. Ray is the most awarded broadcaster in the history of the ACRAs. The Ray Hadley Morning Show brings you the latest news, sport, traffic and weather, with hard-hitting political interviews and commentary. Ray has a reputation for breaking news, and loves to hear from listeners on the open line and via email. Ray’s Christmas album is out NOW! Listen to the full show podcast of the Ray Hadley Morning Show for this Tuesday, April 23rd. Listen to the highlights of the Ray Hadley Morning Show for this Tuesday, April 23rd. Listen to the full show podcast of the Ray Hadley Morning Show for this Monday, April 22nd. Listen to the highlights of the Ray Hadley Morning Show for this Monday, April 22nd. GALLERY | Ray’s granddaughter Ava… the photos are adorable! Ray becomes a pop… and the photos are adorable! 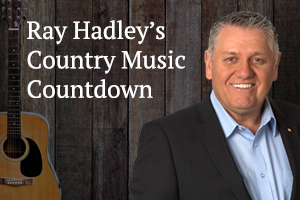 Listen to the highlights of the Ray Hadley Morning Show with John Stanley for April 19th. The Robertson Brothers have delivered again. This time they’re taking aim at former prime minister Malcolm Turnbull after his BBC interview. The Robertson Brothers have done it again. Here’s their parody of Ray’s most played song Down to the Honkytonk by Jake Owen. The Robertson Brothers are back. This time they’re taking aim at embattled Labor MP Emma Husar. Their cover of OMC’s How Bizarre ticks every box. The Robertson Brothers have delivered again. This time they’re taking aim at former One Nation senator Brian Burston after he announced he’s joining Clive Palmer’s United Australia Party. The cover of Fleetwood Mac’s Little Lies is spot on. The Roberston Brothers just keep on delivering. Here is their ode to the disastrous Return and Earn scheme.